Using Argan Oil for the face may also help to prevent and heal the side effects of Acne Vulgaris such as blackheads, Hyperpigmentation and Scarring. Is Argan Oil a Good Treatment for Acne? Although some website claim otherwise the truth is that you should not think of Argan Oil as a direct Acne treatment. Argan Oil may be used to treat Acne and is an excellent choice of moisturiser for use on Acne prone skin. It is used for its healing effects on the skin because it has …..
All of these are essential if you want to clear-up Acne. With regular use Argan Oil should really help get rid of pimples and even out a blotchy complexion and calm inflamed skin. Another active ingredient in Argan Oil that may be useful in treating Acne is Lupeol. Reducing skin inflammation to keep Acne under control. This is why natural products that are rich in Sterols are useful for treatment of acne vulgaris . Plant sterols found in products like green tea or Argan Oil applied topically support cell membrane health. They reduce and protect against further skin inflammation. There are other anti-inflammatory components in Argan Oil which include Triterpenes, Saponins & Butyrospermol. All of these are well documented for their ability to reduce redness and inflammation of pores. Nourishing skin with nutrients can support cell renewal, collagen production and maintain the natural hydration barriers. This improves not only the appearance of skin affected by acne but helps to reduce the symptoms. 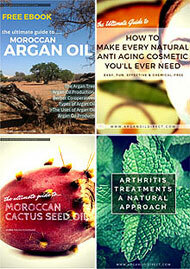 Argan Oil supports cell renewal in many ways. Here we list just a few of the nutrients and how they support skin cells – hydration, collagen and healing. Argan Oil is also exceptionally rich in natural anti-oxidants. This is important because anti-oxidants are the best way to counter the attack on skin cells by Free Radicals. “Free radicals” damage skin collagen by changing in the chemical structure of the collagen. 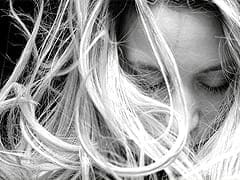 They create a tiny break in the strands and over time collagen becomes damaged and skin begins to sag. Any damage to skin can result in dark marks. Melanin, which is responsible for dark colouration, is produced in reaction to skin damage, whether a cut, burn, inflammation or even hormonal inflammation in the case of Melasma. This where Argan Oil and better still Argan Oil with smal amount of certain essential oils, is also useful. Firstly, the high vitamin E levels in Argan Oil give it a natural lightening effect to gently fade dark marks. Other essential oils have a stronger lightening effect but need to be used in small amounts with Argan as the carrier oil. Better still, some of these essential oils have a natural inhibiting effect on Melanin production. This is the weakness of many commercial creams that can fae marks but are not good at preventing them from coming back. Moisturisers are an essential cosmetic product for maintaining healthy skin. However, if you suffer from sensitive skin prone to spots then it is essential to use the right moisturiser. You should only use non-comedogenic oils, like Argan Oil. This is because they do not block pores. Finally, even though it is not specifically an Acne treatment it can be blended with other essential oils to produce an all-in-one anti-ageing moisturiser with a good Anti Acne action. Later in this article, we will discuss the 4 best oils you can add to Argan Oil to create a natural serum for Acne. The definition of Acne is, a skin disease caused by the clogging of hair follicles and the action of bacteria on dead skin cells and skin oils. The primary cause of Acne is high levels of Androgens – Hormones that cause sebaceous glands to make too much sebum. Although Acne is most common at puberty “adult acne” can also occur at various stages of life for many reasons. For example, spots and break-out are common in adult females due to the menstrual cycle. In this case taking 500mg to 1000mg supplements of Evening Primrose Oil or Borage Oil for 7 days before a period is expected can have amazing results on spots and other symptoms such as breast pain. But in most cases the treatment of Acne is more complicated. Bacteria that cause Acne act on the oil from glands and this lead to skin eruptions. The symptoms of Acne may include whiteheads, blackheads and redness from inflammation. If not addressed this can lead to more serious conditions such as cystic Acne, papules, pustules and boils. 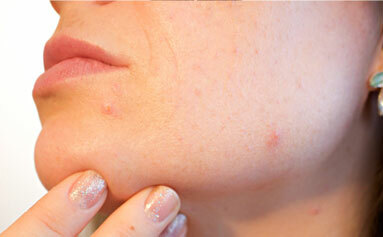 Inflammation and bacteria are both a symptom and the cause Acne. Fortunately, natural oils like Argan Oil have both antiseptic, anti-inflammatory and anti-bacterial effects. With the right choice of oils it is possible for many Acne sufferers to reduce flare-ups and stop it from becoming a more serious problem. Not having a good skin-hygene regimen is a major cause of Acne or at least how seroius it becomes. Regular cleansing and exfoliation of skin and use of skin healing nutrients is so important. In fact the real cause of so many skin-eruptions comes from the clogging-up of pores. Finally, lifestyle, bad diet and choice of cosmetic products are major causes of Acne or just spotty, blotchy skin. What to Do About Acne Prone Skin? This depends on how serious the condition has become. There are many ways to treat Acne Vulgaris. It might be enough to simply improve your skin hygiene, regimen use antibacterial products and change your diet. However, when Acne has become more serious you may need to take a more aggressive approach. If you have pock-marks, scars or dark marks wont clear-up overnight. However, with regular use natural oils can be very useful for healing scars and fading dark marks. In addition there are many herb based treatments, such as Comfrey, that have beneficial and well documented healing effects on skin. Diet plays a big part in controlling Acne and is too big a topic to cover here. Just to say that most importantly you should make sure you do not have an acidic diet and get plenty of Alkalising drinks and foods. Blends of essential with Argan Oil bare an inexpensive and gentle method for promoting skin health. Later in this article we discuss how to make a serum that targets many of the causes and problems created by Acne simply by using a pure Argan Oil as a carrier oil. Best of all you can customise the serum to match your own specific skin type/condition. Acne has both physical and psychological effects. The combination of skin inflammation and infection causes spots. This can lead to hard to get rid of blackheads, whiteheads, papules, pustules and worse! The effects on appearance often cause psychological stress which in turn can make Acne get even worse. Over the long-term Acne can cause Hyper-pigmentation and Scarring. Does Argan Oil Cause Acne or Breakouts? Everyone’s skin problem is different. What may work for one person may not work for another. Although it is almost never reported, there is always the chance that any natural oils may not work or even cause a “break-out” reaction. This is why you should ALWAYS make a patch test when trying any new product (natural or not) you plan to use on your skin. You do need to make sure that your Argan Oil is as fresh as possible. This is because Argan is very high in beneficial Omega fatty acids. But over time these oxidise and might even contribute to skin breakouts and Acne. This is kept in check by the very high vitamin E levels in Argan Oil which have a natural preservative effect. These Polyunsaturated fats are susceptible to “lipid peroxidation.” This is a process where lipids degenerate by oxidation. Lipids cover the surface of the skin. Sebaceous lipid is a mix of ceramides, fatty acids and cholesterol. When oxidised the lipids in cell membranes become damaged. Now, the oxidation of a pure, scent-free Argan Oil starts after about 10 to 12 months. A single filtered Argan with the natural smell within 9 to 11 months. As you may have read I was born in Morocco and my family produced Olive and Argan Oils for generations. 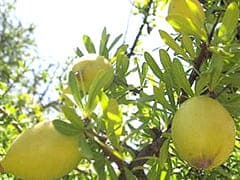 In the past we made Argan Oil not by cold-pressing but by a long and complex process of producing a bread-like dough then squeezing the oil from this. It would take a week to make a small quantity which we would use immediately. Now we have cold-pressed oils and finer a more advanced filtration process we are able to remove more of the water content and vegetable sediment. This makes a scent-free Argan Oil which has a longer shelf life. Even so, we only press and process Argan Oil in small quantities every 3 months or so to make sure that it is in best condition when sent to customers. This gives 7 to 9 months in which it will be in perfect condition. 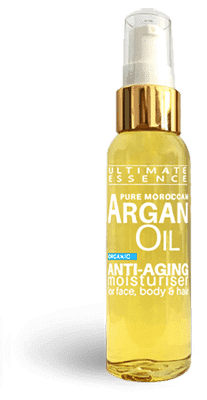 Unfortunately, most Argan Oil you will see is almost certainly purchased in bulk, packaged and will have sat on shop shelves or in the warehouses of Amazon for who knows how long? So try to check pressing dates where possible. But because it is a non-comedogenic oil Argan Oil won’t block skin pores or give you Acne? Pure essential oils are very concentrated and can cause a reaction and skin irritation. Just about all essential oils should be diluted before applying to skin. The recommended dilutions for essential oils vary for each oil. Typically essential oils can be added to a carrier oil in a dilution between 1% to 5%. A standard dropper dispenses around 0.05 ml per drop. This means there are 20 drops in 1 milliliter. You should be aware that some essential oils are photosensitive or “phototoxic”. This means they may cause your skin to react when exposed to the UV light in sun. This includes some very useful essential oils, such as Lemon Oil, which have many benefits for skin. To avoid any problems with photo-sensitivity simply use them as an overnight treatment. These are the most common Essential Oil that can Cause Skin Photo-sensitivity with maximum suggested dilutions per 60ml of carrier oil. Before using any new cosmetic product, especially on visible areas like the face, always try to make a small patch test. That said, essential oils are widely used and have been used across the world for thousands of years. If any of them were especially unsuitable for skin we would probably know by now. So, unless you already have known allergies, you will most likely only need to make a simple patch test. Choose an area close to that where you plan to use the oils. The side of the neck or inner forearm. Apply a little of the oil serum. Leave for at least a few hours, ideally 24 hours, to see if there is any reaction. If you have an uncomfortable reaction that you want to calm try applying a cold plain yogurt to the affected area. This is a list of oils to avoid using during pregnancy. We sell 2 types of genuine, organic and pure cosmetic Argan Oil. The first is our “Naturally Scented”. This is made from an extra-virgin cold-pressing and a single filtration process. This grade of cosmetic Argan oil has a natural Argan nut scent and is recommended for blotchy, acne prone or inflamed skin. Our “Unscented” Argan Oil is the same extra-virgin oil which is filtered a second time. This type of cosmetic Argan Oil has less sediment, less water content and no smell. It is the best choice for face, general skin care and hair treatments. 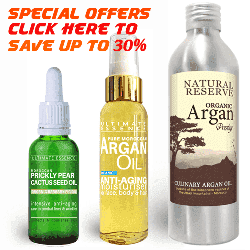 Buy both types of certified, organic Argan Oil for skin and hair from our on-line store. You can also buy directly from some of web pages. Click on the “add to cart” buttons to purchase direct through Pay Pal checkout. Prices include fast and Free Delivery Worldwide and all products are supported by our money back guarantee.